What Drives the Price of Coffee? Ready to Start Trading Coffee? Should I Invest in Coffee? What Do the Experts Think About Coffee? How Can I Invest in Coffee? Coffee is a soft commodity derived from a plant that grows mostly in subtropical and tropical climates. The beverage produced from the cherries on these plants is a primary source of caffeine in diets in both emerging and developed countries. Coffee is such an important dietary staple across the world that it has spawned a staggeringly large economy of its own. Coffee roasters, packers, growers, marketers and coffee equipment manufacturers depend on the commodity as do dairy producers and restaurant operators. Coffee commodity prices, therefore, play a vital role in the global economy. Coffee plants grow in two varieties – Arabica and Robusta. The cherry that grows on the plant contains seeds – known as beans – that are roasted to make coffee. Lower Altitude Crops: These crops require well-defined rainy and dry seasons and altitudes of between 1,800 and 3,600 feet. Such conditions produce distinct growing and maturation seasons. Mexico, Jamaica, some areas of Brazil and Zimbabwe are countries with these types of conditions. Higher Altitude Crops: These crops grow near the equator at altitudes of 3,600 to 6,300 feet. Coffee plants here require frequent rainfall and produce two harvesting seasons. Kenya, Colombia and Ethiopia are countries with these climate and geographical conditions. Robusta plants generally grow at much lower altitudes than Arabica crops. Coffee producers plant Robusta in regions 10 degrees north or south of the equator at altitudes ranging from sea level to 3,000 feet. Robusta plants can tolerate warmer weather than Arabica plants. Global production of coffee is measured in jute bags, which can hold 60 kg of coffee. 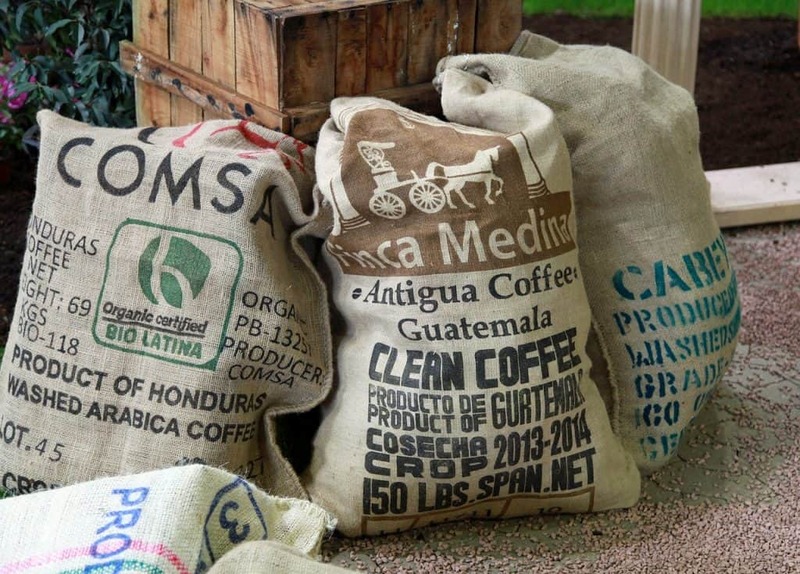 * One-ton polypropylene super-sacks have been replacing jute bags for coffee exports. Total global production of coffee by exporting countries exceeds 150 million jute bags annually. Arabica beans generally comprise more than 60% of the total production. The largest importers of coffee include the European Union, the United States, Japan and Russia. Exporting countries consume about one-third of the more than 150 million jute bags consumed annually. Brazil is the largest consumer among the exporting countries. In the United States alone the economic impact of coffee exceeds $225 billion and accounts for more than 1.6% of the country’s GDP. The coffee industry produces an estimated 1.7 million US jobs. 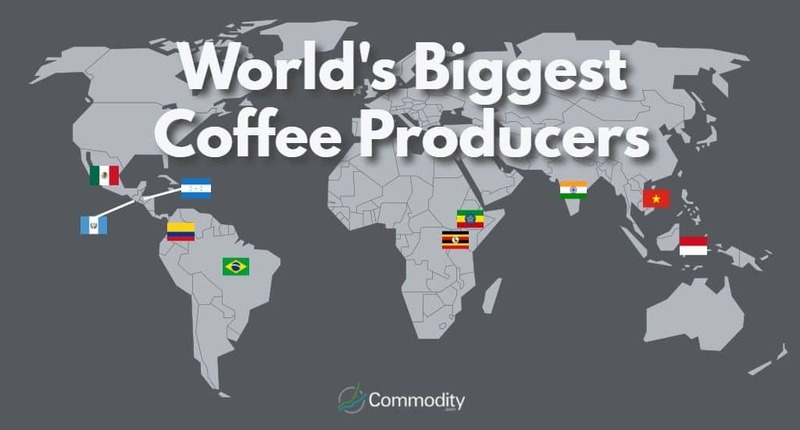 The top five coffee-producing countries account for about two-thirds of global production, and the two largest producers – Brazil and Vietnam – often account for about half of annual production. All of these countries have histories of political instability. Political crises such as leadership vacuums or corruption scandals can unnerve markets and create concerns about supply disruptions. Coffee crops are highly sensitive to weather conditions. Crops need the right combination of rainfall and sunshine to yield maximum output. When these conditions don’t materialize, supply becomes restrained and prices rise. The fact that the bulk of coffee production is concentrated in a few countries exacerbates this problem. Global warming patterns have the potential to create long-term drought conditions in coffee-growing countries. If these patterns persist, coffee prices could head higher in the years ahead. 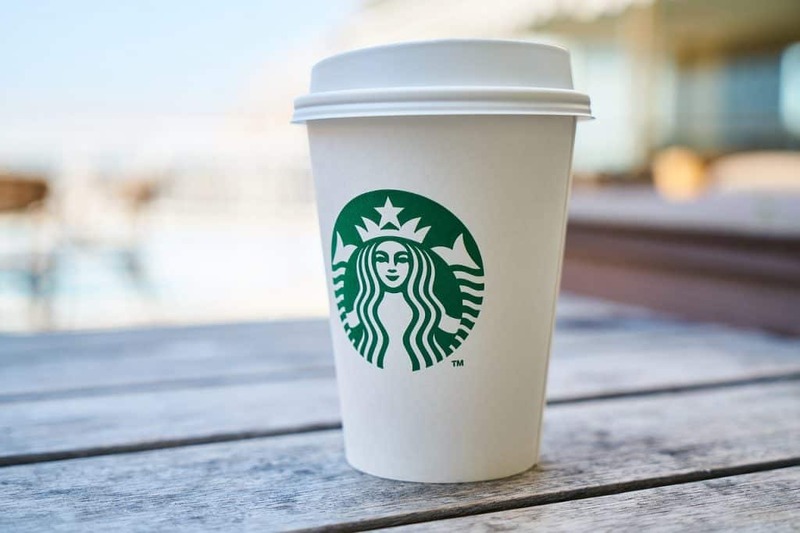 Although much of the world regularly consumes coffee, the beverage is not a necessary staple in the same way that grains such as wheat and rice are. Therefore, patterns in discretionary income and spending can play a significant role in moving prices. In developed regions such as the EU and the United States, trends in unemployment and average hourly earnings could serve as important barometers for changes in coffee consumption. In emerging markets, overall economic growth could impact coffee consumption. China, for example, has shown a pattern of shifting toward Western dietary norms as its economy has matured. Although China has more tea than coffee drinkers, coffee may rival tea in the years ahead. Coffee growers have to transport their beans to consumers and businesses across the world, and all forms of transportation require fuel. The price of oil can have a major impact on the price of coffee. Disruptions to refinery operations can cause the price of gasoline to rise. Buyers of coffee should expect prices for the commodity to have a positive relationship with energy prices. The medical community has produced conflicting evidence about the health effects of drinking coffee. Coffee enthusiasts note the beverage’s benefits for disease prevention and its numerous antioxidants including vitamins B2 (riboflavin), B5 (pantothenic acid) and B1 (thiamin). However, caffeine in coffee can lead to anxiety and disrupt sleep in some people. It also is an addictive substance. The extent to which the public embraces the positive or negative message about coffee could impact demand and prices for the commodity. Commodities, including coffee, are priced in US dollars. Sellers of coffee receive fewer dollars for their product when the US currency is strong and more dollars when the currency is weak. A strong US dollar can potentially depress coffee prices, while a weak US dollar is usually good for prices. Coffee has its source of supply concentrated heavily in a few countries. Since coffee growing requires the right climate and financial resources, this concentration is unlikely to change anytime soon. Conditions such as climate change and political upheaval have the serious potential to disrupt the supply of the crop and send prices higher. As a discretionary item, coffee benefits from strong global economic growth. Investors optimistic about growth in emerging economies in Asia, Latin America and Africa may want to invest in coffee. As these countries accumulate wealth, their consumption of coffee is likely to increase. Similarly, investing in coffee is a way to bet on growing discretionary income in Western economies. Medical evidence paints an increasingly favorable picture of the health benefits of consuming coffee. If more medical evidence emerges about these benefits, then consumer behavior may shift toward greater consumption. 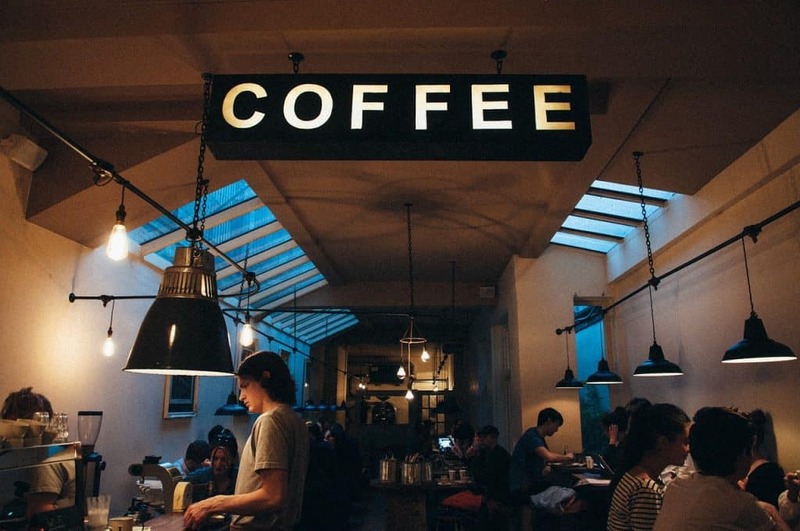 Consumers increasingly see coffee shops as fun and productive places to congregate. Business professionals, students and civic groups perform work and hold meetings in them. As coffee shops proliferate in popularity, coffee consumption should benefit. Most traders have the vast majority of their assets in stocks and bonds. Investing in coffee is one way to diversify a portfolio. Coffee prices can be very volatile, so traders should take that into account when deciding whether or not to invest. An investment in coffee might make sense as part of an overall plan to allocate some assets into commodities. Commodities provide traders with protection against inflation and a declining US dollar. They also provide traders with asset diversification. Global climate change: Coffee might be a way to profit from long-term shifts in weather patterns. Increasingly hot temperatures and unpredictable hurricane seasons could create upheaval in the production of many crops including coffee. Emphasis on Healthy Living: Studies in the medical community continue to show more benefits from coffee consumption. This news has the potential to convert more individuals into coffee drinkers and drive coffee prices higher. Emerging Market Growth: Rising wages in emerging economies have the potential to transform consumption patterns. Discretionary items such as coffee could be the beneficiaries of this trend. Experts see favorable supply/demand fundamentals boosting coffee prices. They see weak harvests of Arabica beans and increasing demand for high-end gourmet coffee as the drivers of this trend. We expect prices to hit further highs on production downgrades, the decline in global stocks and supply tightness that should keep markets fearful of any disruptions. -Sudakshina Unnikrishnan, commodities analyst at Barclays Capital. James Hearn, co-head of agriculture at commodities broker Marex Spectron, agrees. He believes that low Arabica prices fail to take into account the impending shortage. It’s a material deficit; everyone can see there’s a problem coming. Hearn notes that crop conditions in Brazil and tight demand have the potential to lift prices much higher. He points to the Brazilian government’s sale of its supply, which was met with strong market demand. As government supplies get depleted, the potential for higher prices increases. 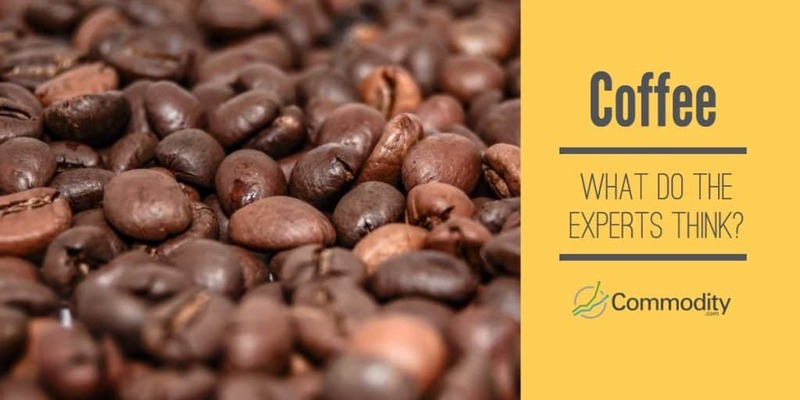 The New York Mercantile Exchange (NYMEX), which is part of the Chicago Mercantile Exchange (CME), and the Intercontinental Exchange (ICE) offer the Coffee C futures contract, which is the world benchmark for Arabica coffee. The Coffee C contract settles into 37,500 pounds of Arabica beans. The CME contract trades globally on the CME Globex electronic trading platform and has expiration months of March, May, July, September and December. The ICE offers an options contract on the Coffee C futures contract. Options are also a derivative instrument that employs leverage to invest in commodities. As with futures, options have an expiration date. However, options also have a strike price, which is the price above which the option finishes in the money. Options buyers pay a price known as a premium to purchase contracts. An options bet succeeds only if the price of Coffee C futures rises above the strike price by an amount greater than the premium paid for the contract. Therefore, options traders must be right about the size and timing of the move in Coffee C futures to profit from their trades. There are few pure-play public companies engaged in the production and sale of coffee. Most coffee producers are small and privately-owned. Investors could purchase shares of one of India’s largest coffee producer Tata Coffee Ltd (TCO.IN). One way to invest in coffee is through the use of a contract for difference (CFD) derivative instrument. CFDs allow traders to speculate on the price of coffee. The value of a CFD is the difference between the price of the shares at the time of purchase and the current price. Many regulated brokers worldwide offer CFDs on coffee. Customers deposit funds with the broker, which serve as margin. The advantage of CFDs is that trader can have exposure to coffee prices without having to purchase shares, ETFs, futures or options. Start Trading at Plus500.com Important: Your capital is at risk. CFD services are suitable for experienced traders only.